Making the transition from being a nursing student to a fully fledged professional can be tough. Gaining support from your peers is crucial. ‘Sharing makes you feel you’re not the odd one out,’ she says. If you are experiencing difficulties, be vocal. ‘We assume everyone knows how we feel, but when people are busy it can be hard for them to see it,’ says Lucy Gillespie, practice development lead at Nottingham University Hospitals. While preceptorship remains patchy across organisations, Professor Draper says good programmes can make a difference. 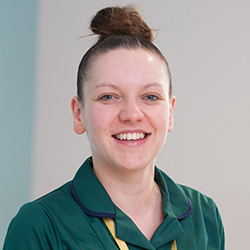 ‘How we support and nurture newly qualified nurses has a knock-on effect downstream, minimising the amount of attrition we get,’ she says. 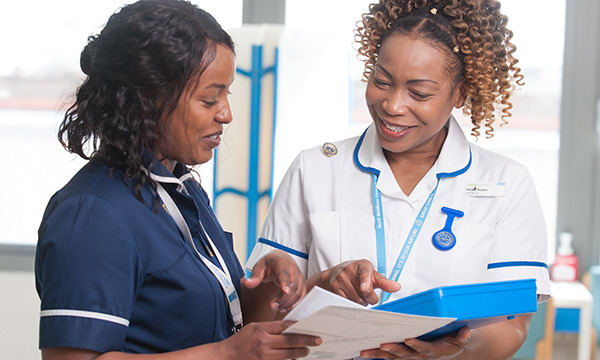 At Nottingham University Hospitals NHS Trust, preceptorship lasts anything from four months to two years, depending on the individual. Their programme includes an induction day, resilience-based clinical supervision, and a seven-day acute care skills foundation programme, which began around five years ago. Common worries for newcomers include losing their registration because they do something wrong, being overwhelmed by tasks, making drug errors, and prioritising. ‘There can also be fears around being accepted,’ says Ms Gillespie. 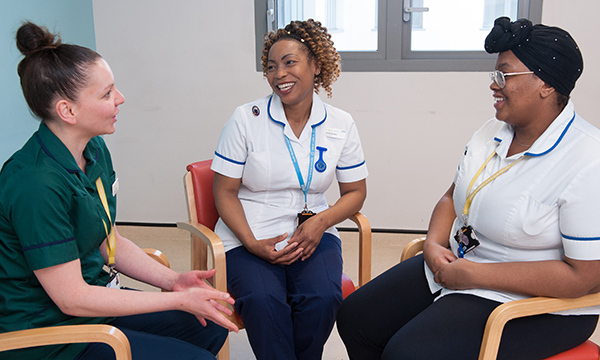 North Middlesex University Hospital NHS Trust’s preceptorship programme, which began last November, brings together all newly qualified healthcare professionals at the trust – including nurses and midwives, physio and occupational therapists, and pharmacists. Before their arrival, each new staff member is allocated a preceptor in their clinical area. The cohort, which is more than 100-strong, is split into five groups. Each person attends four protected study days through the programme’s 12-month duration. Themes include professionalism – which covers accountability, delegation, time management, communication and team-working – and a mental health awareness day. A third day looks at patient experience, including risk, quality improvement and raising concerns, and the final day focuses on professional and career development, looking at leadership, building resilience and becoming more assertive. After completing her studies at Middlesex University, Ms Arewa took up a post on a surgical assessment unit last October. ‘You think there will be a transitional period, but it’s not like that,’ she says. Ms Arewa has found the trust’s preceptorship programme invaluable. ‘It gives you help and guidance,’ she says. Initially she was sceptical about the session on development at such an early stage in her career, but soon changed her mind. In London, all trusts have signed up to the Capital Nurse preceptorship framework. The six to 12-month programme includes a trained and allocated preceptor, alongside study days.